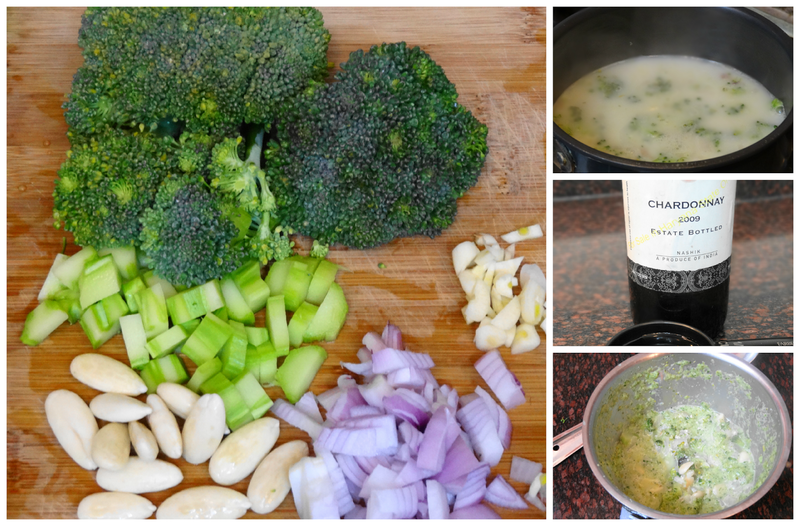 Winters bring with it a wonderful supply of broccoli, and we make this soup a lot to take best advantage of this nutritious vegetable. This nutty soup is flavoured with a twist - white wine. If you don't consume alcohol, you can make it without the wine as well and it will taste good. But the wine, of course, takes it a to a new level. Bored of the tomato and hot & sour soups? Try this while the winter vegetable bounty lasts! Garnish with toasted almonds and serve hot!